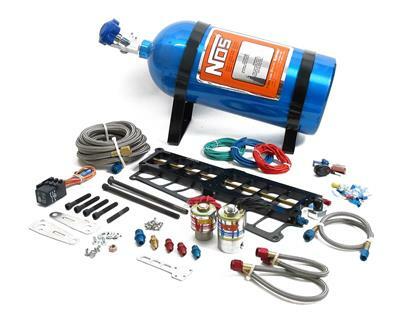 The NOS Big Shot plate system has been used with great success by many of the nation’s premier 5.0 racers. The nitrous plate installs between the upper and lower manifold sections and the dose of fuel and nitrous delivered to the intake tract is highly atomized for instantaneous power. Systems are available to fit the Holley SysteMAX, Edelbrock Performer, and Performer RPM manifolds.